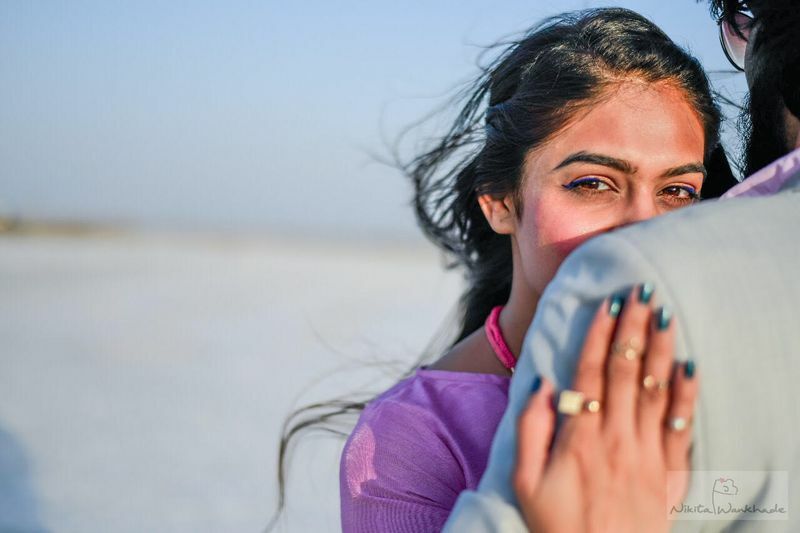 You Just Have to See This Amazing Pre-Wedding Shoot at The Rann of Kutch! 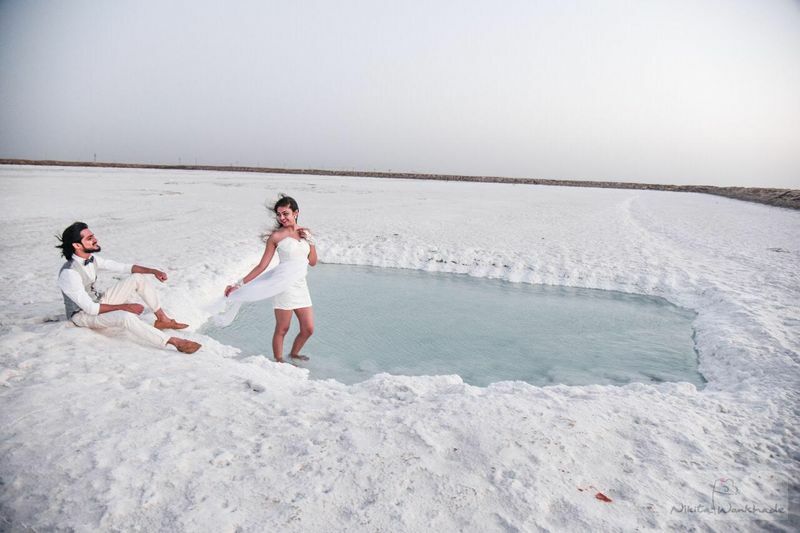 We love an offbeat pre-wedding shoot location when we see one, and this one at the Rann of Kutch literally stood out among a sea of shoots we receive! A pretty backdrop like that one and some pretty outfits made the shoot pop even more! While it was a challenge to photograph in an area like this one, Nikita from Nikita Wankhade Photography★ 4.8 made it look like a breeze! 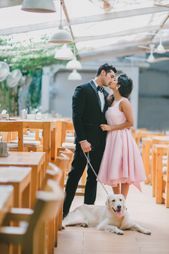 "Urvi and Devansh are both dancers and met 7 years ago in a dance class! 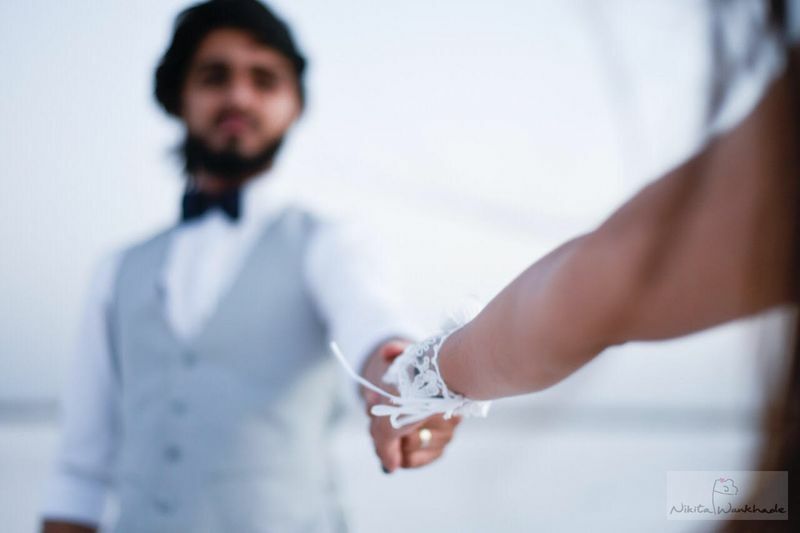 Since they knew each other for so long, Devansh eventually realised how he loved sharing each moment with Urvi! They had a courtship period of 2 years and after facing the challenges of their age gap, they conquered it all to be together for good! 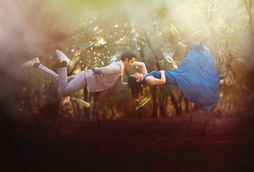 Knowing the story and interest in getting clicked I was tempted to cover their wedding on my birthday :)"
"Coming to the shoot, Urvi and Devansh planned and colour co-ordinated their clothes 1.5-2 months back! They started their shopping from Instagram way before Diwali to receive it on time. Starting from the white gown, hand gloves, hair colour, the purple salwar suit which was made into a gown to Devansh’s suspenders and bowtie, they planned every small detail! We went by road to cover possible shots on road too. Urvi is a complete makeup- buff, she had gathered the purple/white eyeliners for a stark look with the white background." 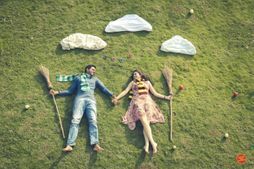 "We faced a couple of challenges with the shoot too! The wind at Rann of Kutch that time was so extreme that it could blow away a person! But we took the chance and used it to our advantage with the flowing sari and a gown! But we couldn't shoot with a drone as it was not allowed there." 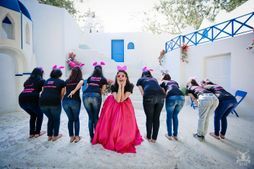 The Beauty And The Geek - This Cutesy Pre-Wedding Shoot Is All You Need To See Today! 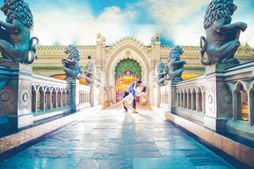 #FebruaryPicks: The Best Pre-Wedding Shoots of the Month! 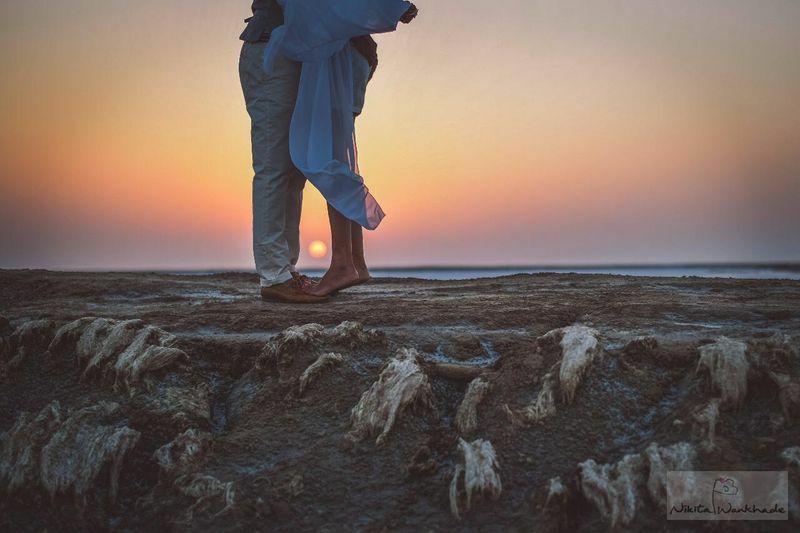 #MarchPicks: The Best Pre Wedding Shoots of the Month! 30+ Unique Blouse Designs For South Indian Brides!